Just a few days after Brexit began wreaking havoc everywhere, it still is the terrible gift that keeps on giving. Is there a bright spot in a story which is otherwise a crusher? 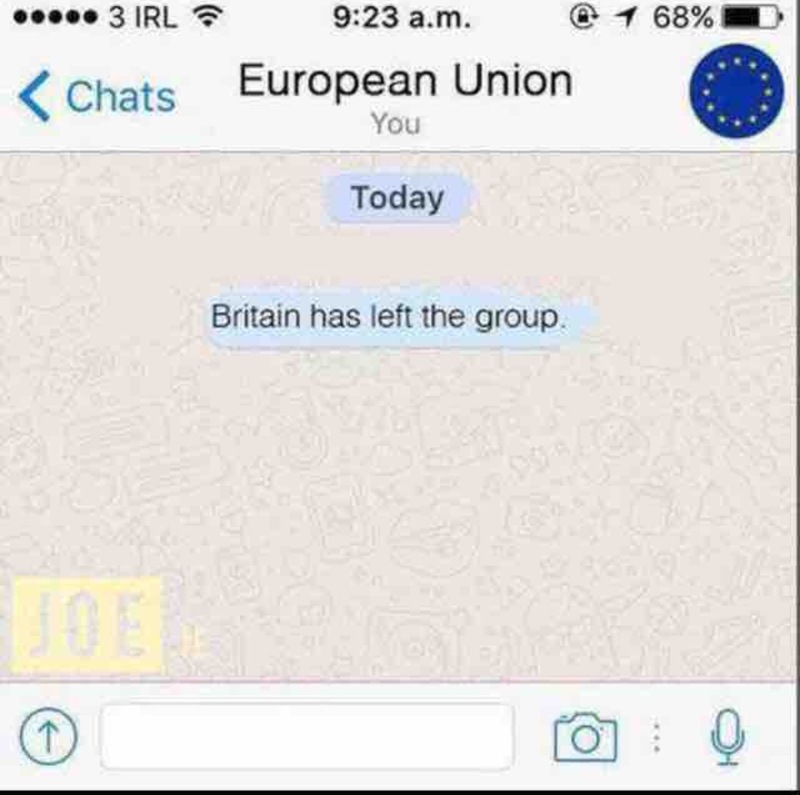 The impact of the UK being the first to leave the European Union. The next country likely to go that route. When it comes to the first repercussion, if the concept of the EU is finished, then none other than the UK is better equipped to be the first one to take on the magnitude of such a decision. As for which country is next, the handwringing is almost futile. The horse has already left the barn, even if there’s a do-over referendum. The precedent has been set. Other countries now have a model to follow. They simply need to adjust it. How far we have come in the years since the Maastricht Treaty. Back in the months preceding it, I remember chatting on IRC (the “social media” of that time) with a weird Greek guy. At least, back then I thought he was weird. He was talking about his involvement in what was to become the EU, and I remember thinking how unlikely such a thing would be in our lifetime…and then it came to pass. Fast forward to now, and we are contemplating what could potentially be salvaged from this bloodbath. London has been a huge draw for the talent pool that works in financial technology. Now that the cost of living is lower, it could still prove to be an attractive destination for those who want to consider that locale for their rotation. Second, redundancy is built into the system. While there will continue to be some shockwaves, other financial centers can, and have begun to, absorb the risk. Where have we seen this before? In the relationship between New York and Jersey City, New Jersey. When firms escaped lower Manhattan, for either reduced rent or a perceived reduced risk from terrorism, Jersey City became an alternative. That alternative is still popular, and it has only grown. We cannot forget the human cost that is sometimes associated with such big moves, and the financial technology industry will have to be mindful of that. So will the population at large, given that immigration was one of the drivers which contributed to the success of the Leave Campaign.